If you are wondering if there is a way to reset your circadian rhythm quickly, then you are reading the right article. 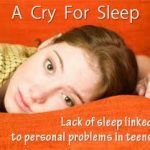 There are several ways that can reset the circadian rhythm, in fact, there is something you can do that can reset the circadian rhythm in one night. According to the research conducted by the Harvard Medical School, a person can reset his or her circadian rhythm quickly by depriving his or her self from eating for 12 hours to 16 hours. 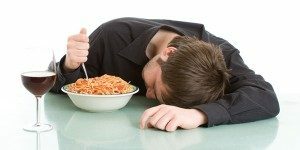 By depriving yourself from food, it can dramatically improve or hasten a person’s adjustment to jet lag or even adjusting to working night shifts. As mentioned above, depriving yourself from food for 12 hours to 16 hours can quickly reset your circadian rhythm. Researchers and scientists found connection between food and the circadian rhythm. 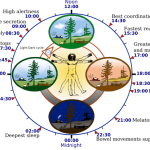 They have proven that the circadian rhythm can be regulated by light exposure and food intake (Food Clock). The mechanism for this trick in food deprivation for 12 hours to 16 hours is that once you start to eat again, your body will think that it is already a new day, in a way that you are eating your breakfast already. All you have to do to use this trick is to stop eating 12 hours to 16 hours before the time you want to be awake. For example, if you want to be awake at 12 midnight, you should not eat anything starting 8:00 in the morning or 12:00 noon. And when the clock strikes 12:00 midnight, eat a proper meal to reset your circadian rhythm. If the purpose for resetting your circadian rhythm is to prevent jet lag, do not eat for 12 hours to 16 hours before the breakfast time of your destination. 12 hours to 16 hours of depriving yourself from food may not be tolerated by some people. 12 or 16 hours is not a short period of time. For people with known medical conditions, this method should not be done or ask for your doctor’s opinion or recommendation before doing this trick. And for people who are under medications, food deprivation should not be done, since some medication can have negative side effects when taken with an empty stomach. It is very important to make sure that you are safe in doing this method to reset the circadian rhythm by consulting your doctor first.